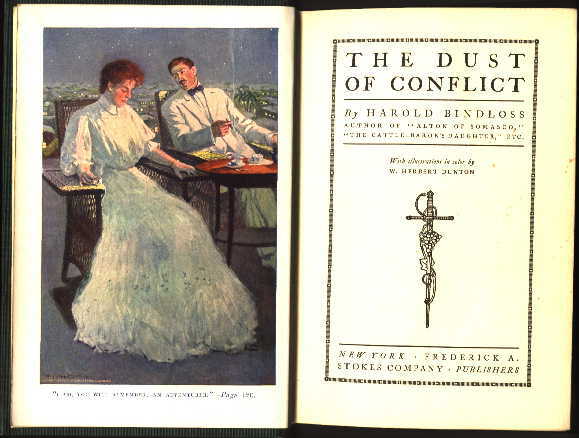 "The Dust of Conflict" - This 322-page hardback romantic/adventure novel by Harold Bindloss was published in 1907 (same year as copyright) by Frederick A. Stokes Co. of New York. Illustrations are by W. Herbert Dunton. 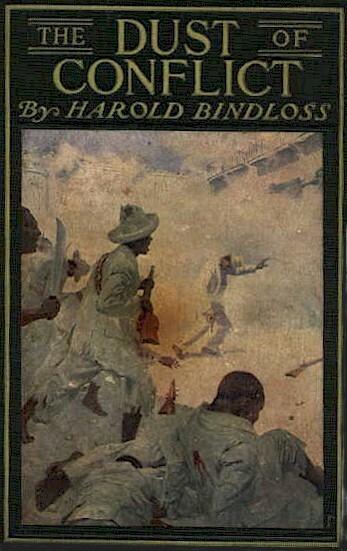 It carries a fine illustration on the cover (the title and author are imprinted into the cover, the illustration is a paste-on).